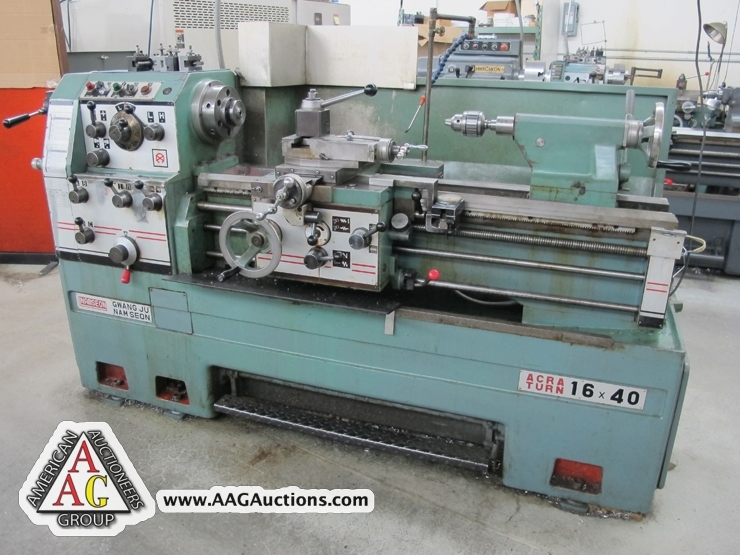 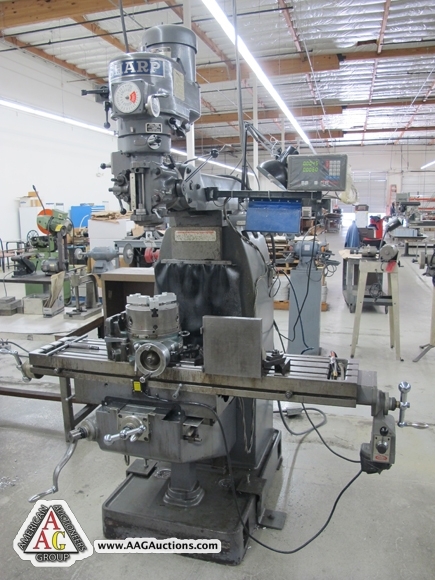 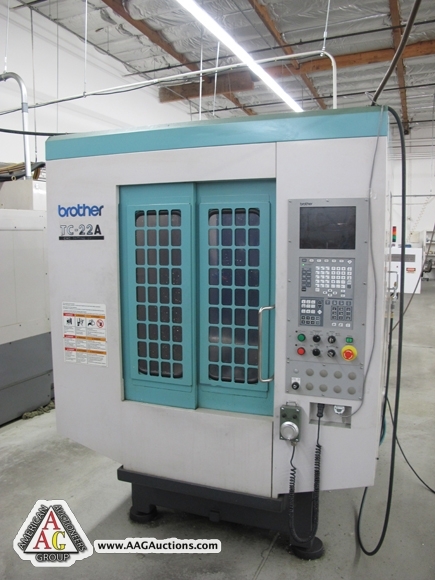 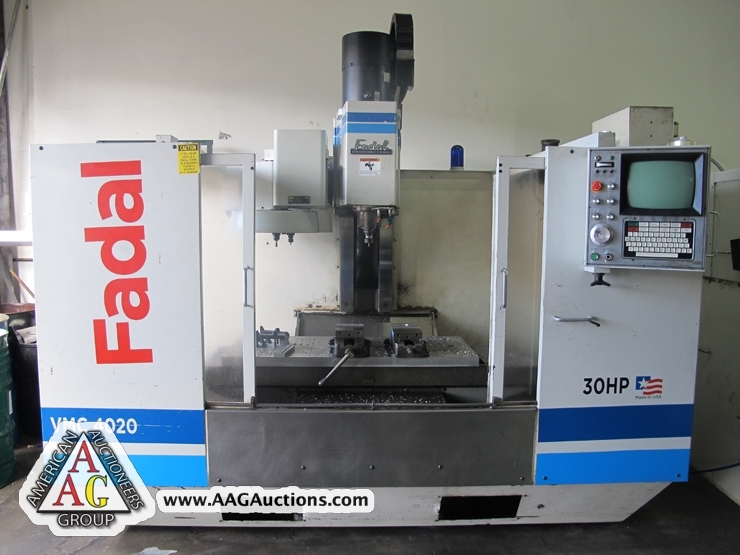 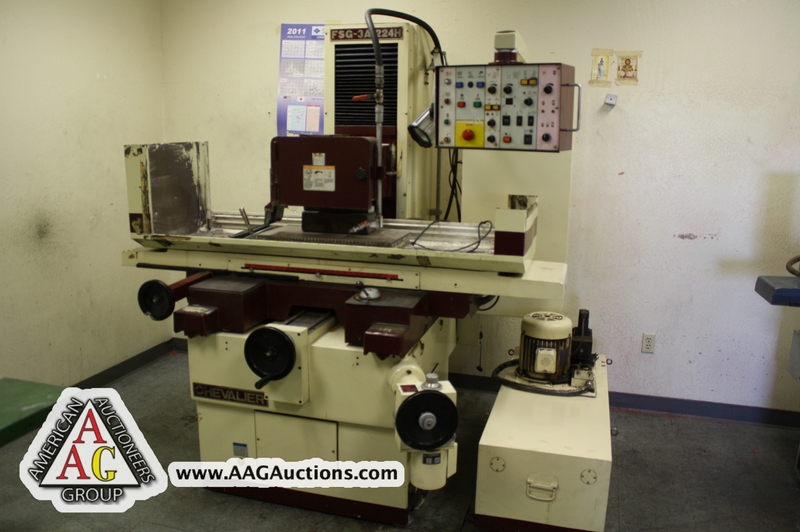 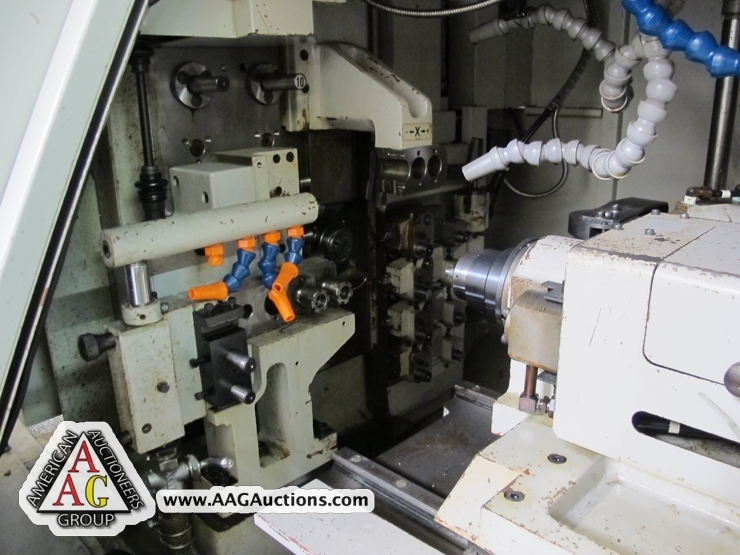 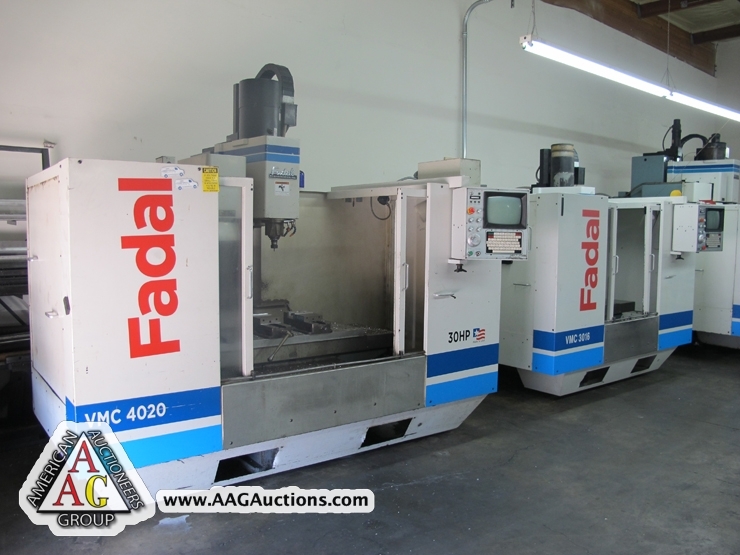 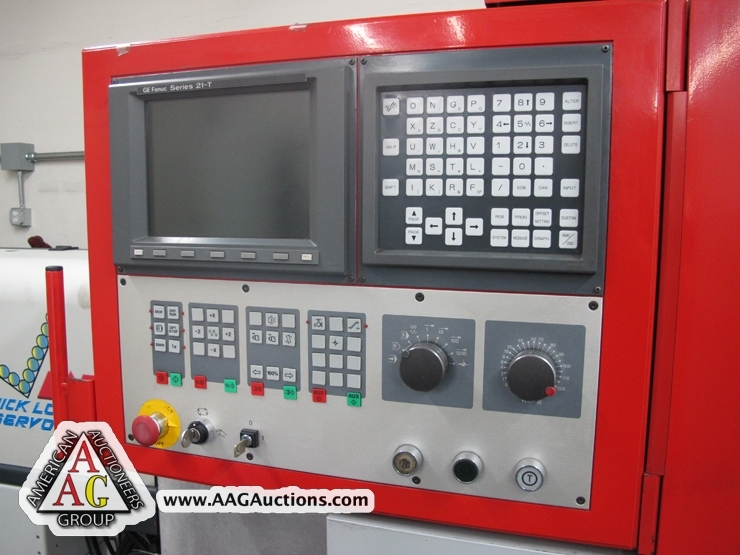 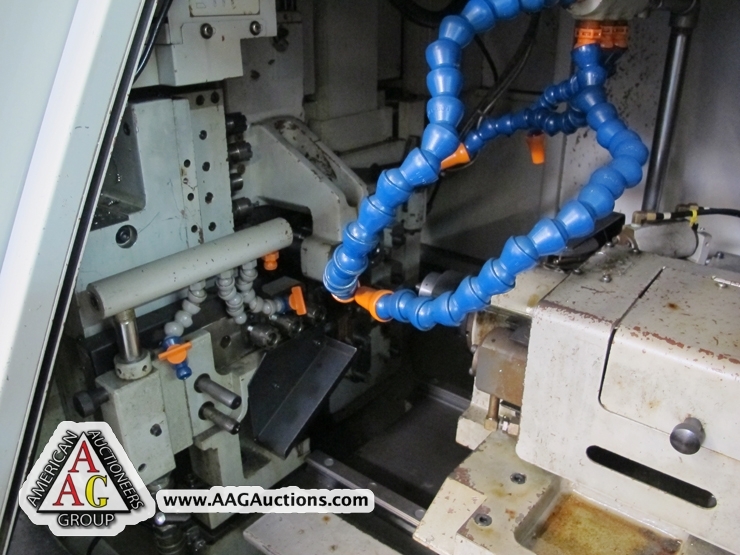 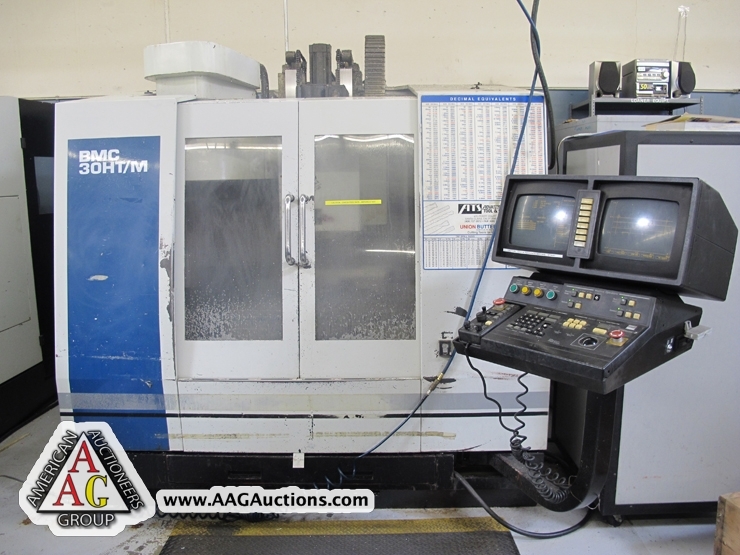 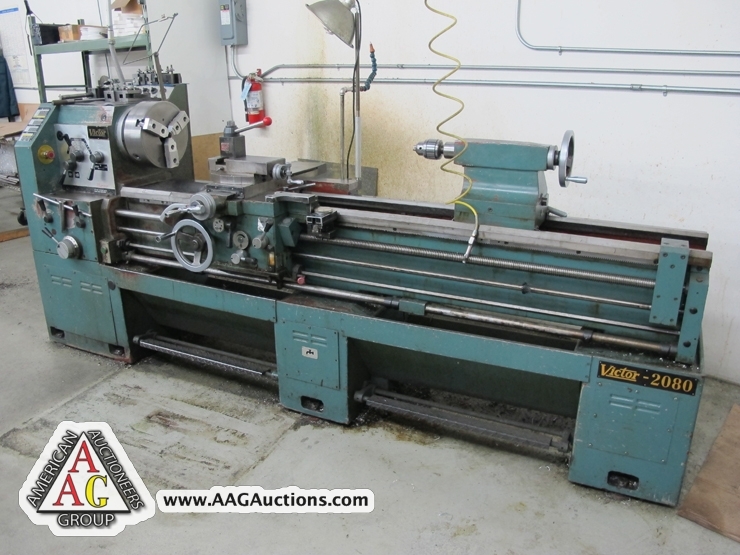 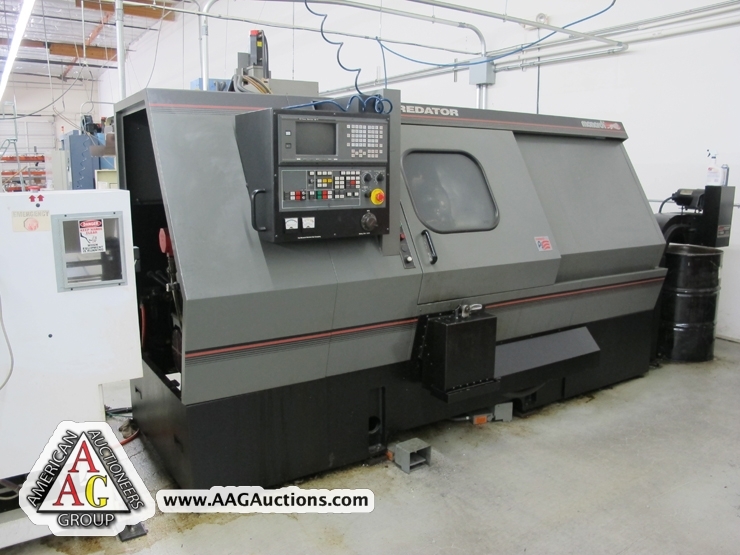 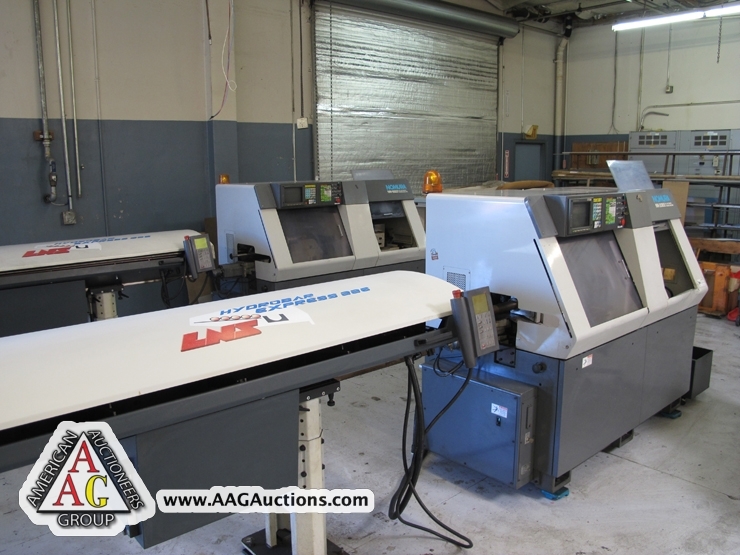 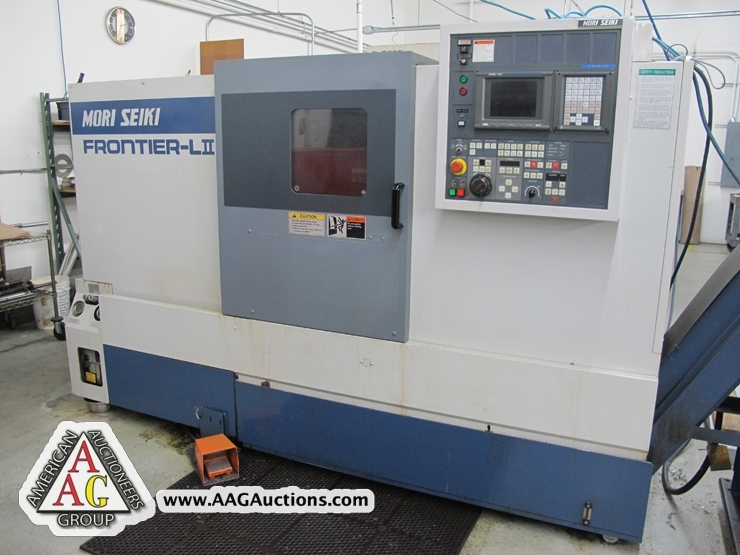 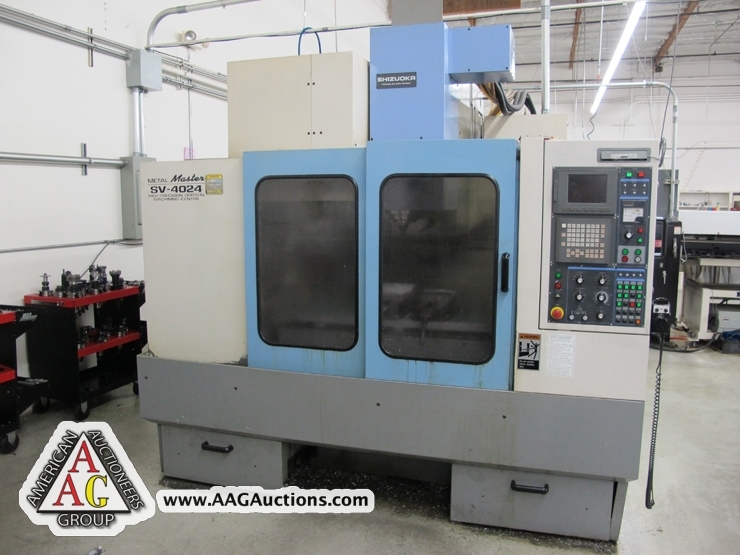 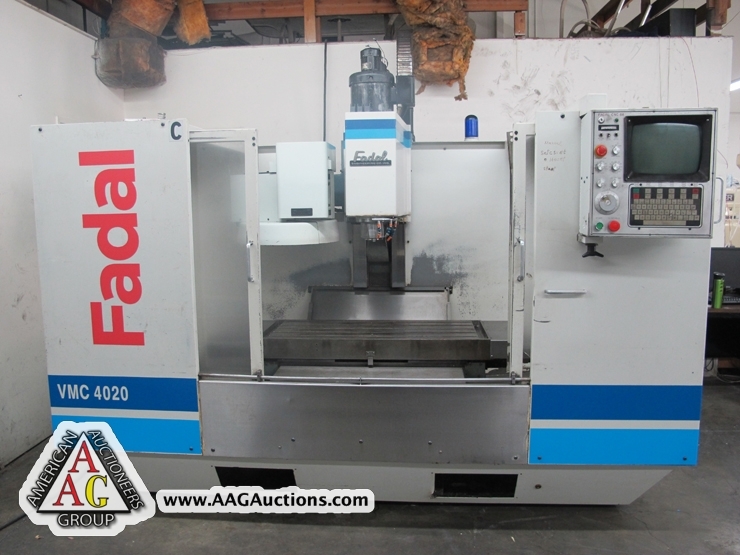 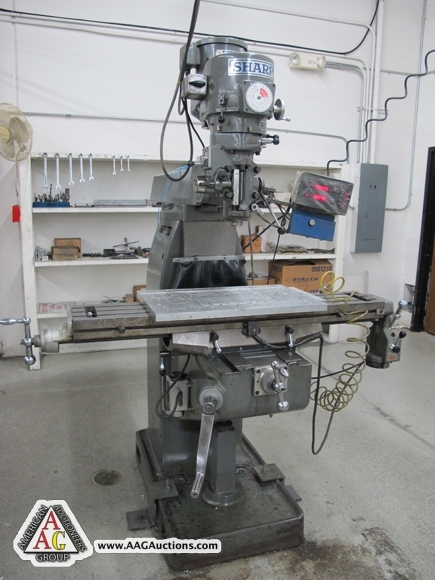 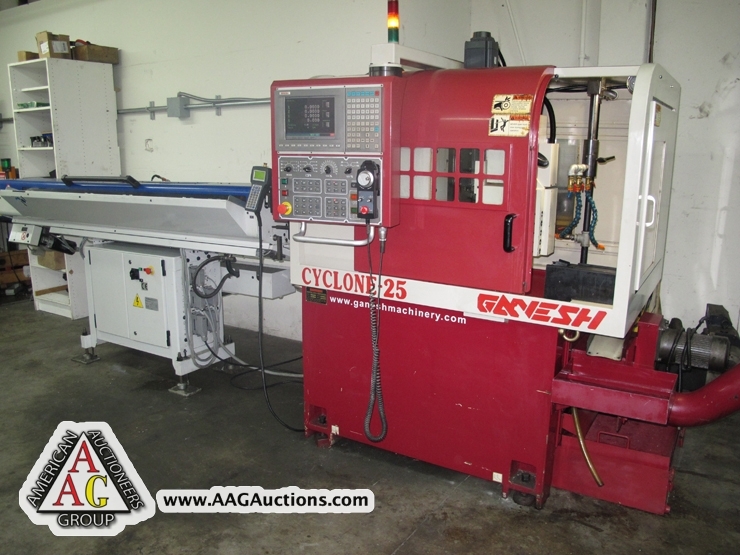 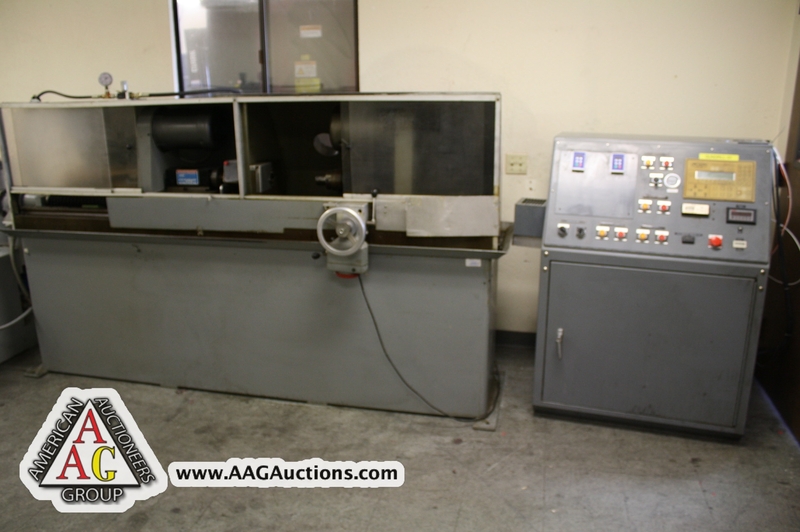 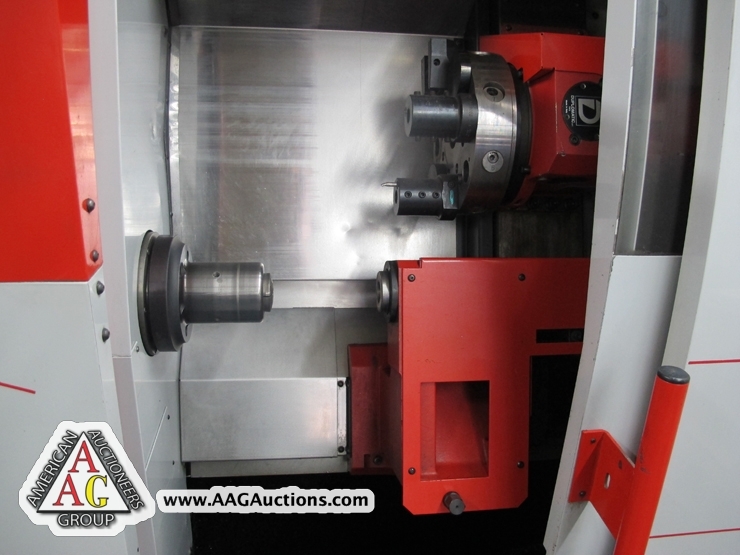 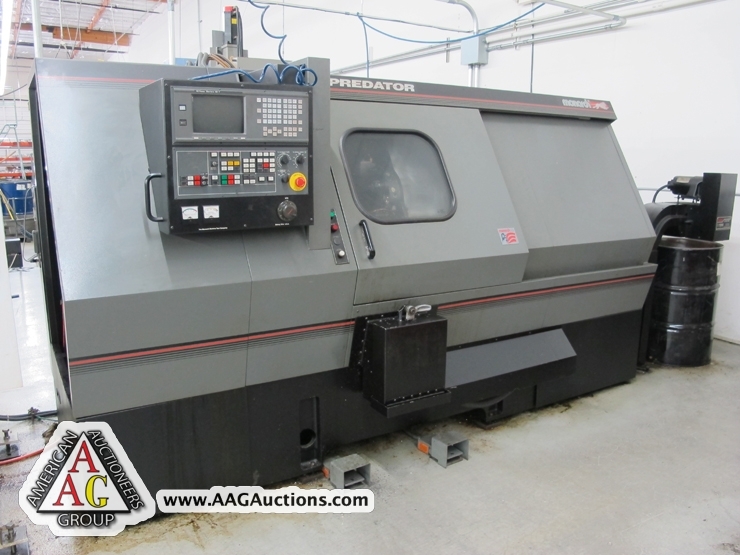 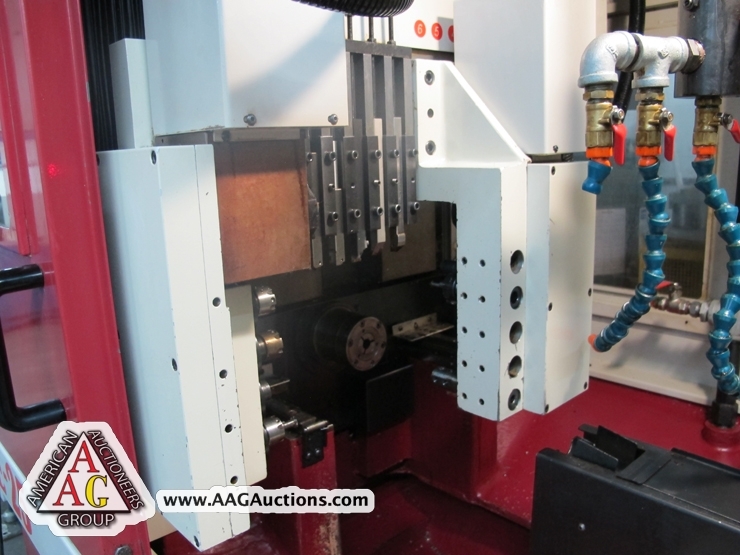 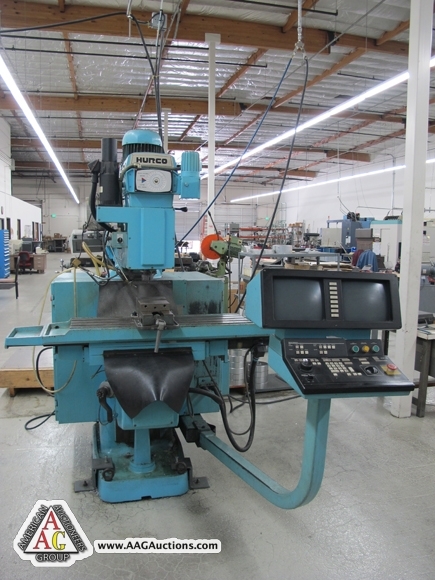 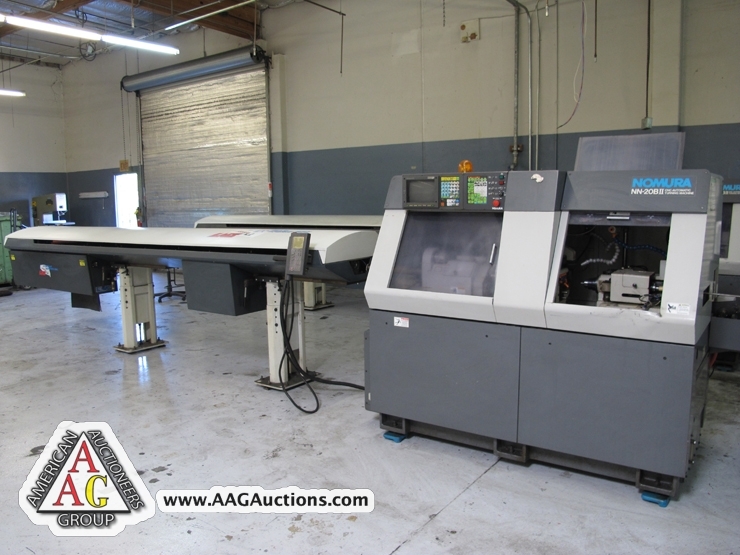 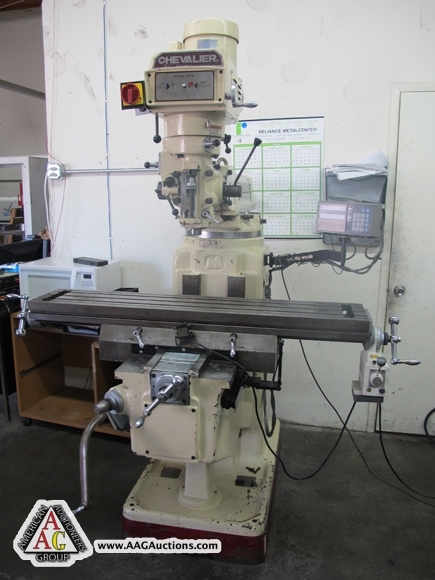 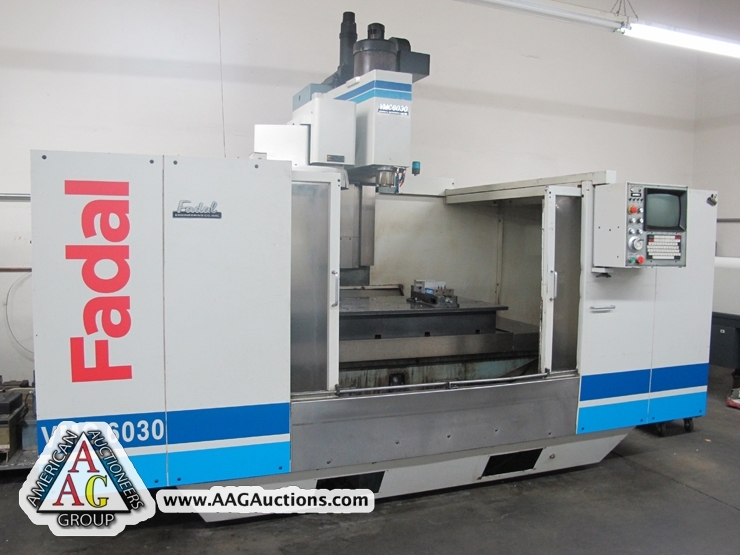 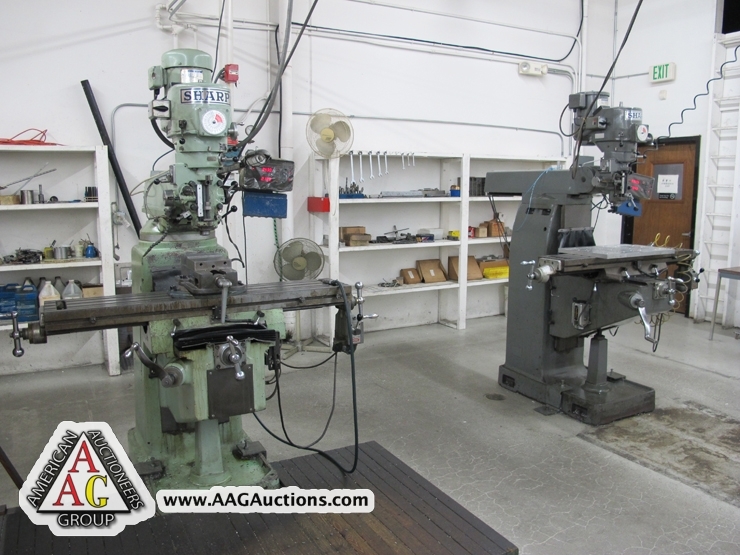 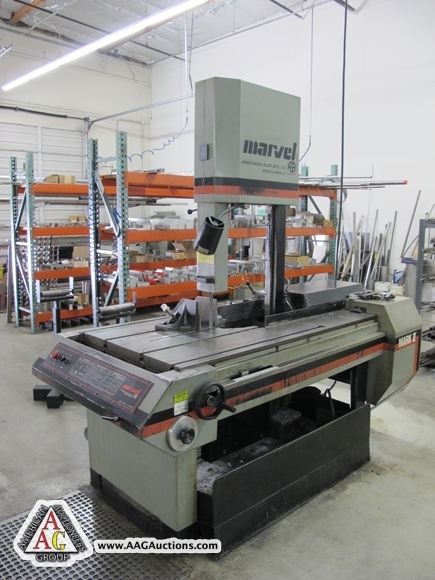 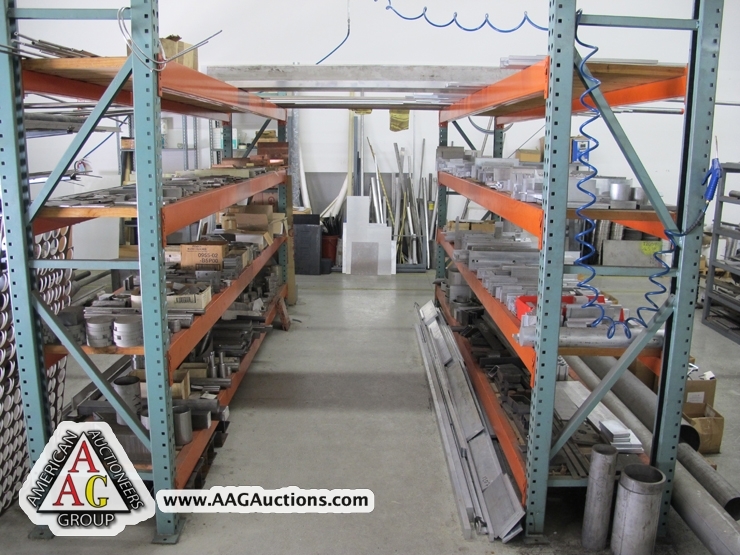 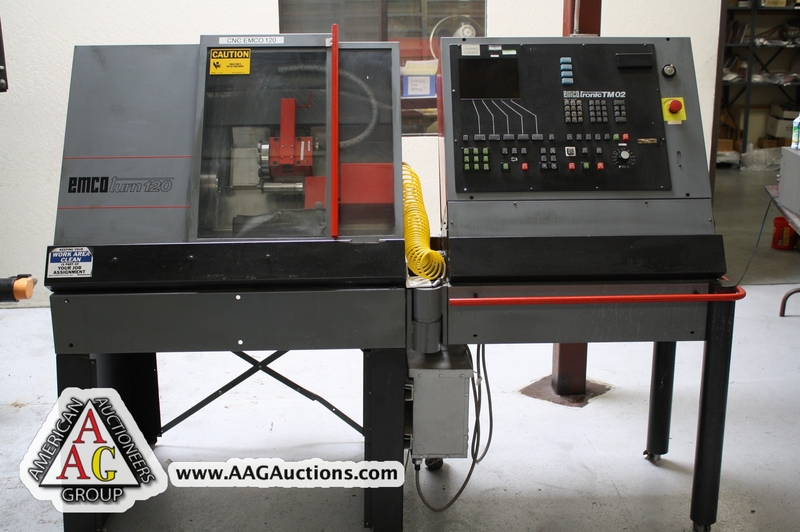 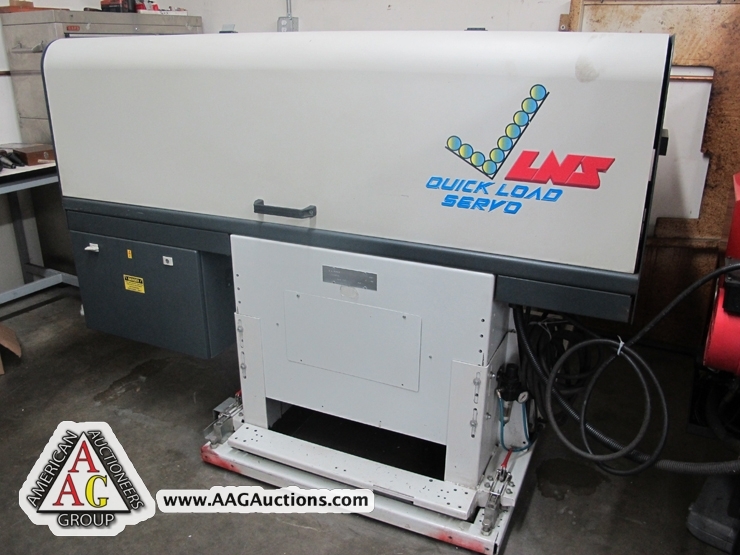 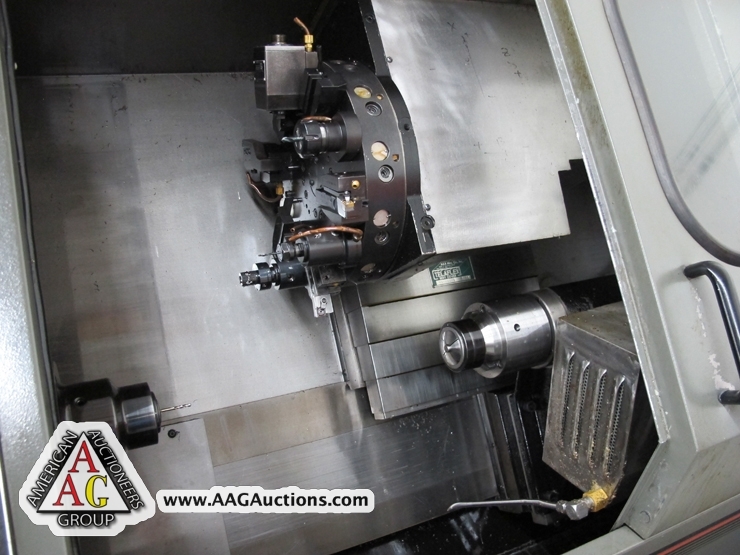 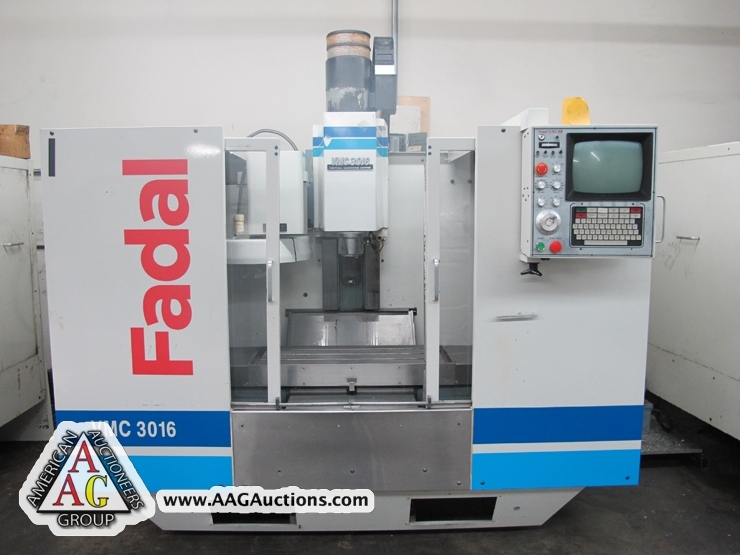 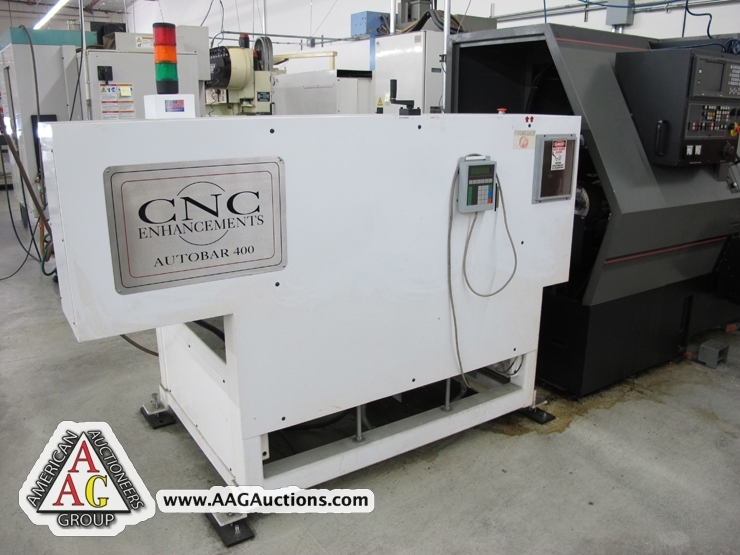 AUCTION DATE: TUESDAY, JULY 24, 2012 – STARTING @ 11:00 A.M.
NOMURA MODEL NN-20B II CNC SWISS SCREW MACHINE, 6 AXIS, LIVE TOOL, MITSUBISHI CONTROL AND LNS BAR FEED MODEL EXPRESS 226, S/N 87069705. 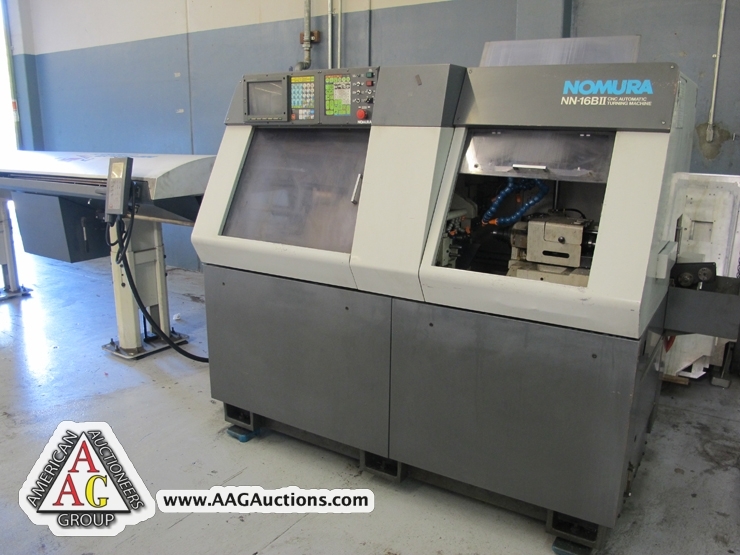 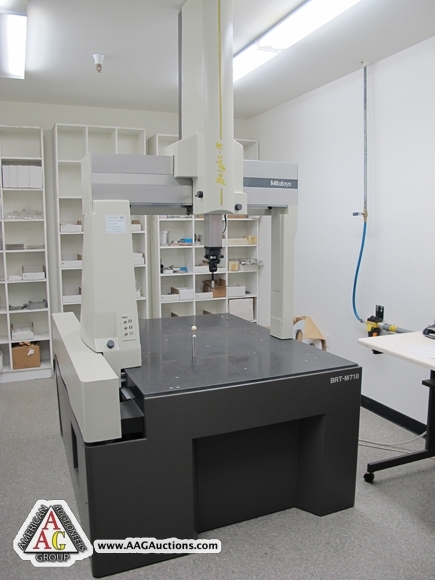 NOMURA MODEL NN 16BII CNC SWISS SCREW MACHINE, 6 AXIS, LIVE TOOL, MITSUBISHI CONTROL, AND LNS AUTO BAR FEED MODEL EXPRESS 226, S/N 86129606. 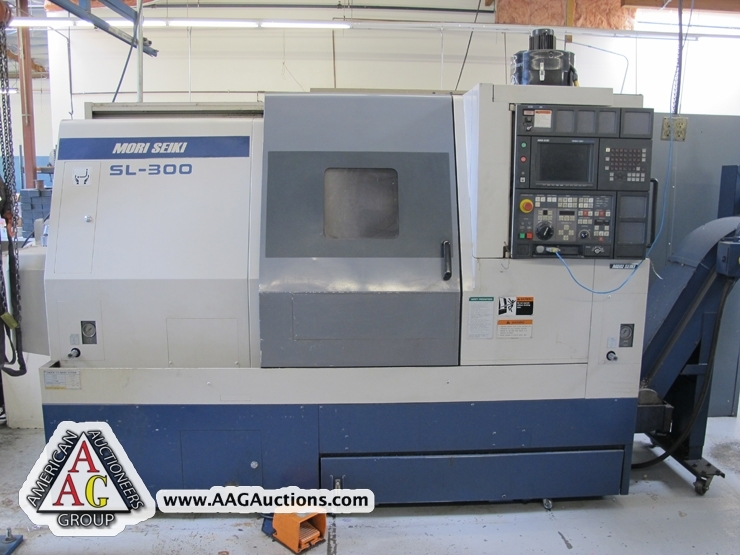 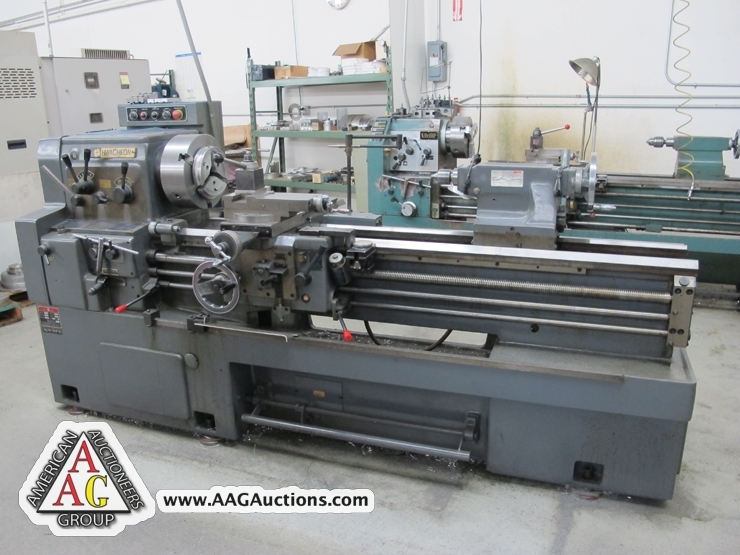 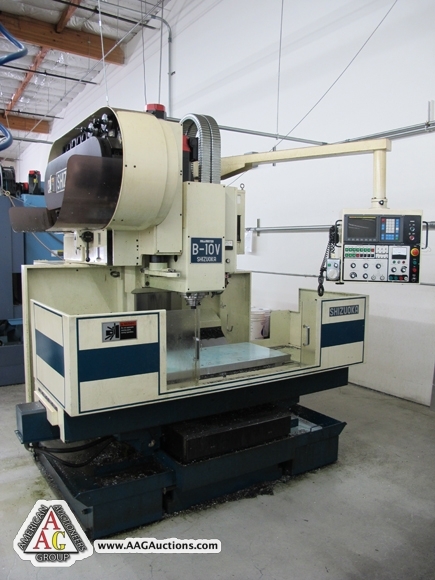 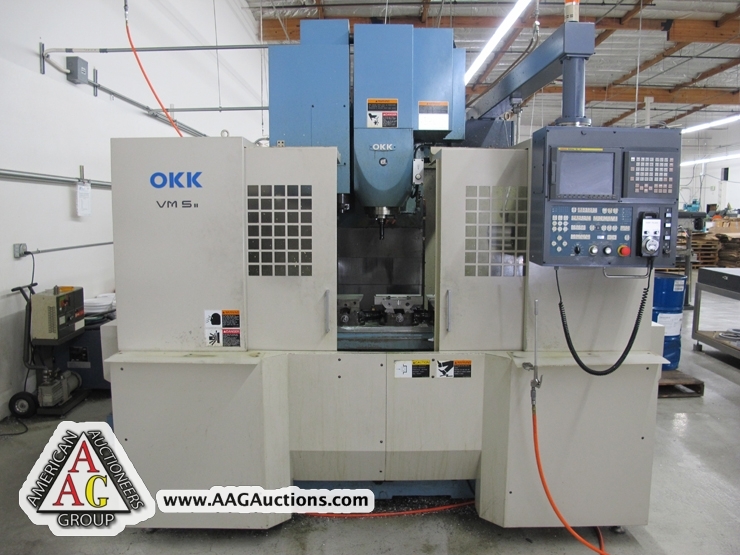 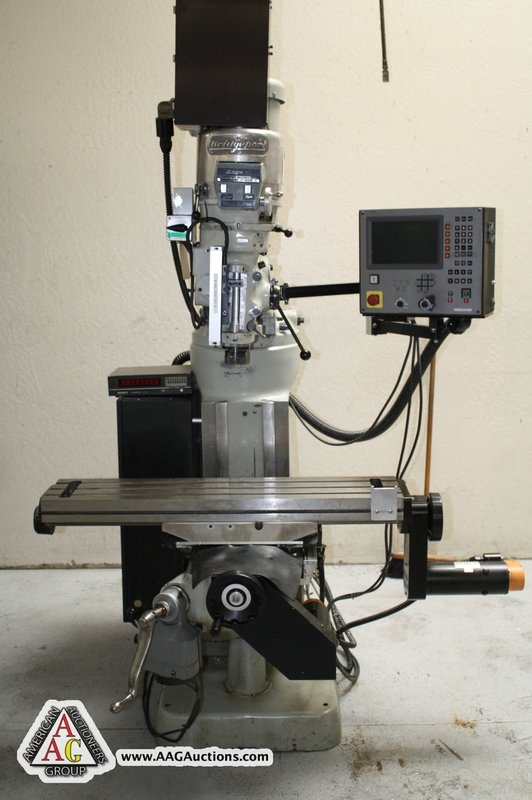 1998 MORI SEIKI SL-300A/700 CNC LATHE, 3’’ SPINDLE BORE, FANUC MSC-501 CONTROL, 12’’ CHUCK, CHIP CONVEYOR. 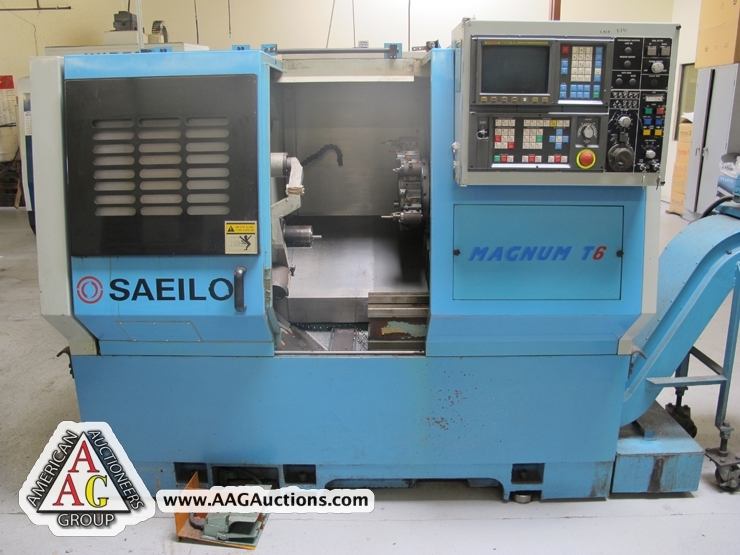 1997 SEILO MAGNUM T6 CNC LATHE WITH FANUC OT CONTROL, CHIP CONVEYOR, TAIL STOCK, 12 POSITION TURRET, S/N TA188. 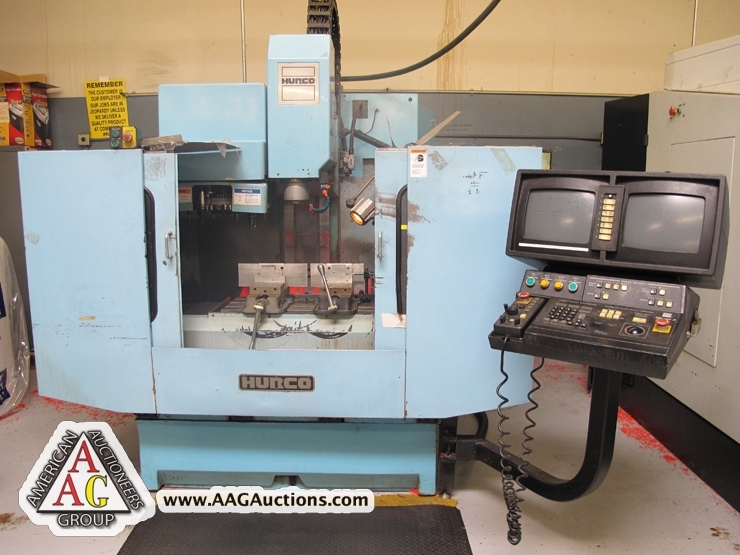 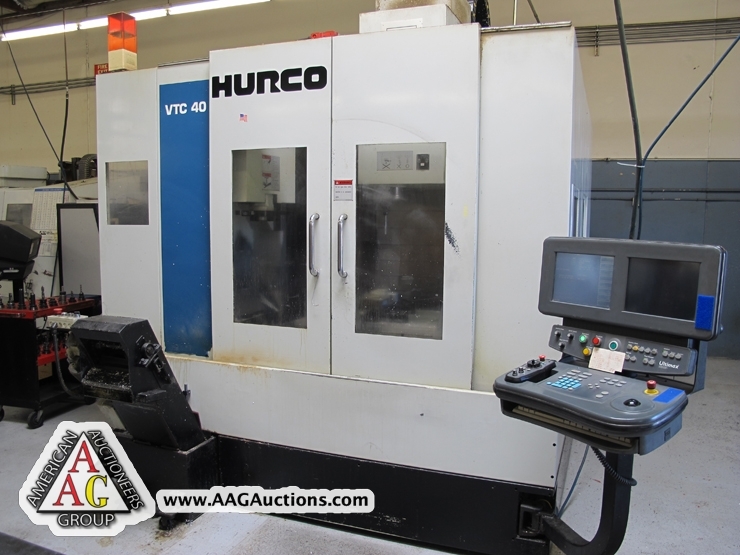 HURCO VTC-40 CNC VMC, CT-40, 40 ATC, 10,000 RPM, (XYZ) 40 X 24 X 22, ULTIMAX 4 CNC DUAL SCREEN CONTROL, S/N VTC4-91002079. 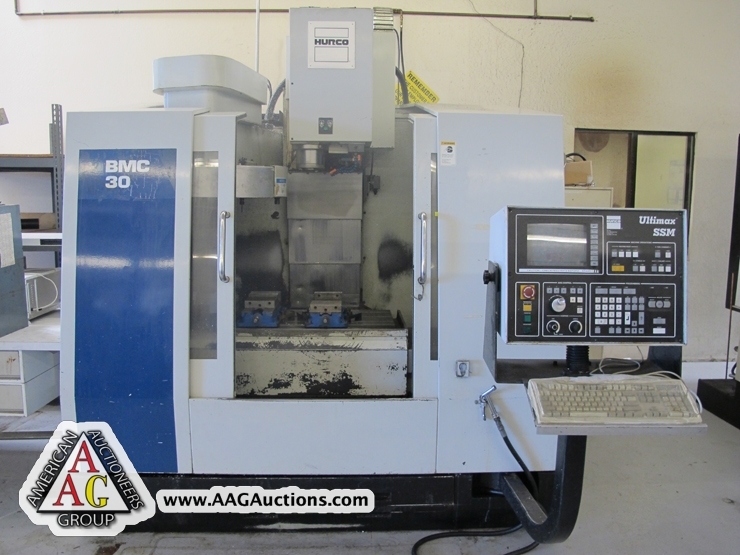 HURCO BMC 30/SS CNC VMC WITH CT-40 TOOL, 24 ATC, ULTIMAX SSM CONTROL, (XYZ) 30 X 18 X 24, 8000 RPM, S/N 3SM9100X097CA. 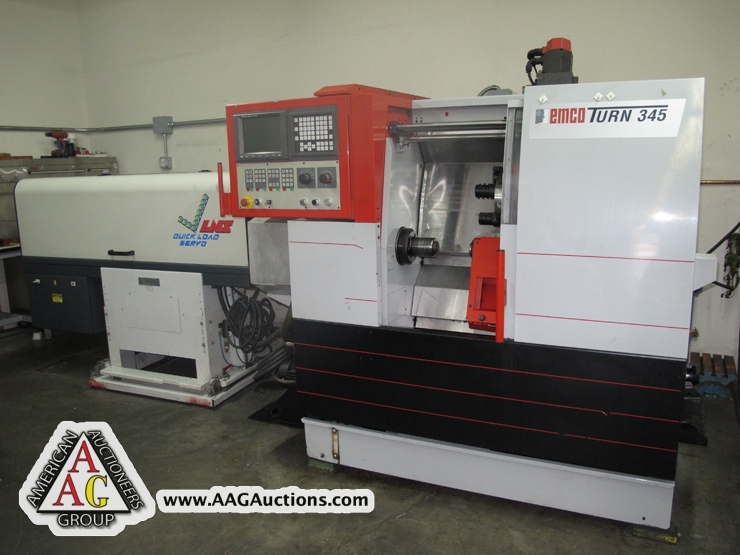 HURCO BMC 30/M CNC VMC WITH CT-40, 24 ATC, 8000 RPM, ULTIMAX HURCO CONTOL, S/N 3M91001037BC. 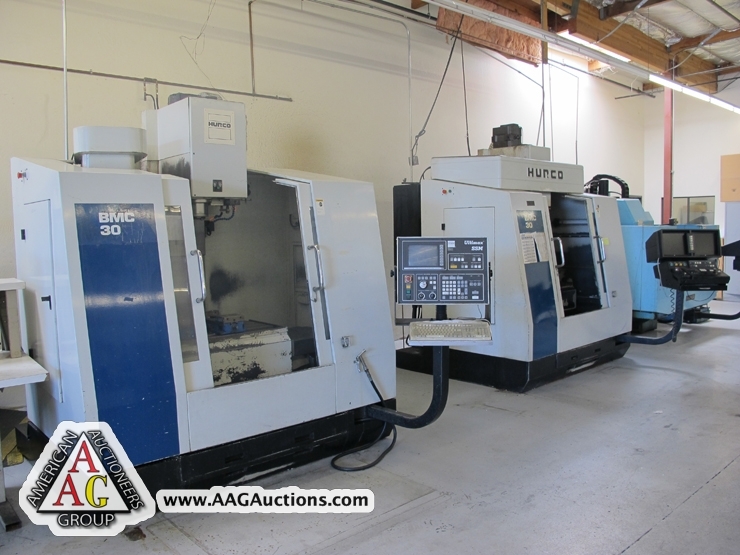 2) HURCO BMC HT/M CNC VMC, CT 40, 24 ATC, (XYZ) 30 X 18 X 24, ULTIMAX DUAL II SCREEN CNC, S/N QHT-9005035B, S/N B3HM-90005025A. 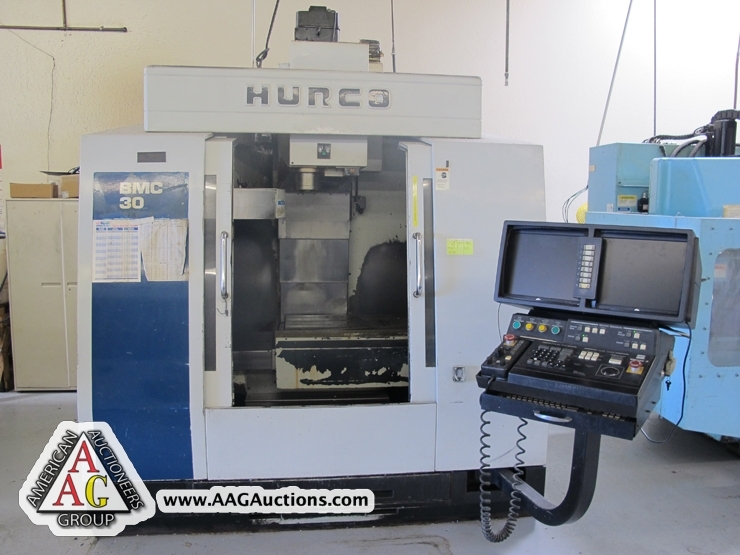 HURCO BMC-20 CNC VMC WITH CT-40, 16 ATC, 6000 RPM, (XYZ) 24 X 14 X 14, HURCO ULTIMAX CONTROL, S/N ZAL-9004083F. 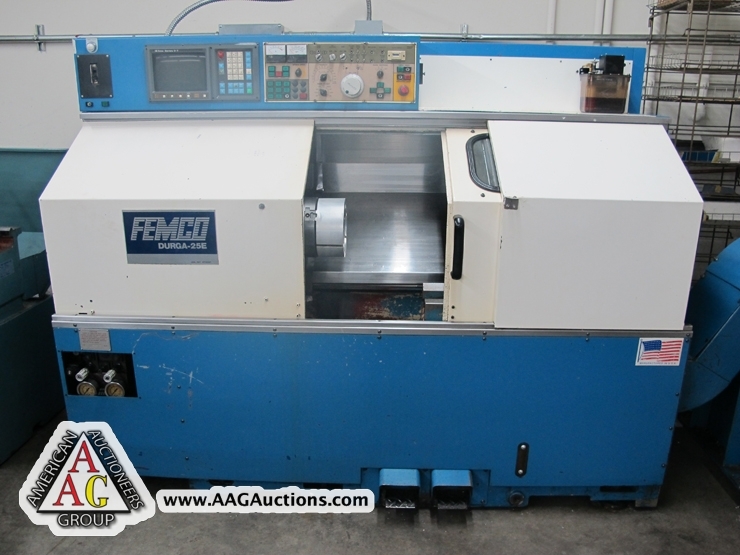 EMCO TURN 120 CNC TURNING CENTER. 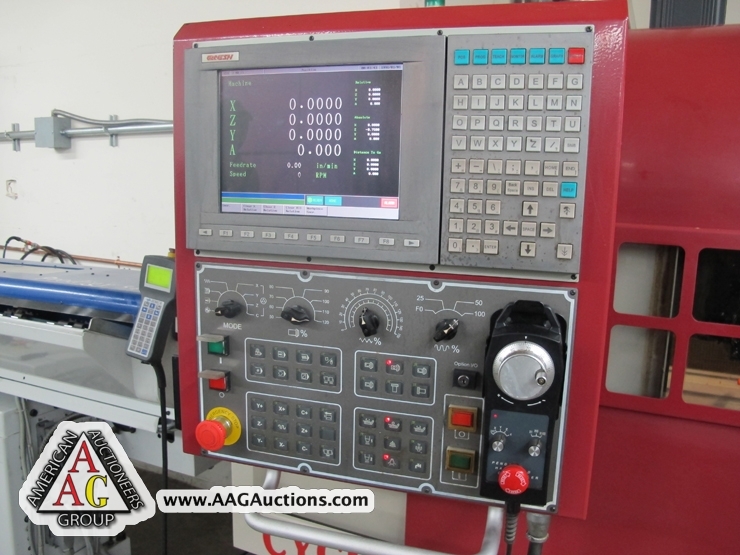 BRIDGEPORT CNC VERTICAL MILL WITH HEIDENHAIN CNC CONTROL, 2 AXIS. 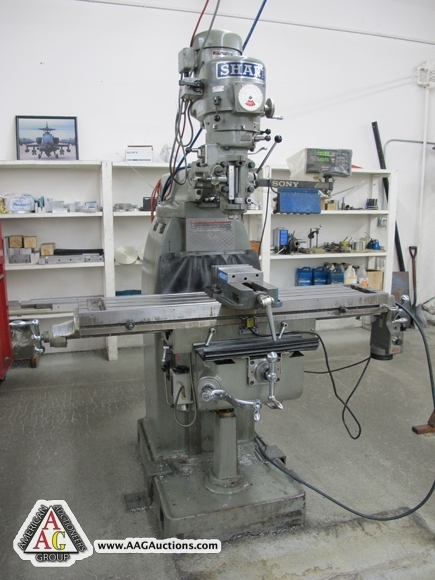 DRILL MASTER 24’’ STROKE GUN DRILL MACHINE, S/N 109. 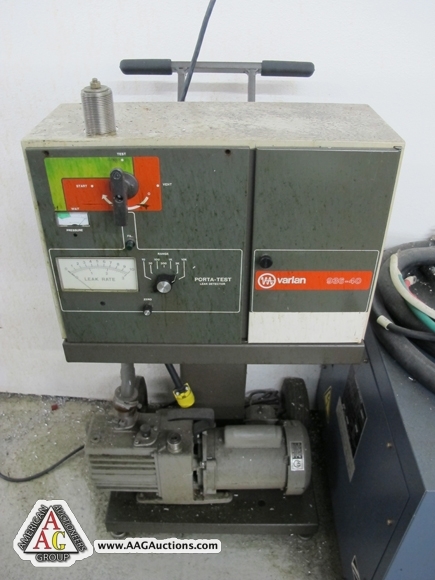 SUNNEN HONE MODEL MBB 1660. 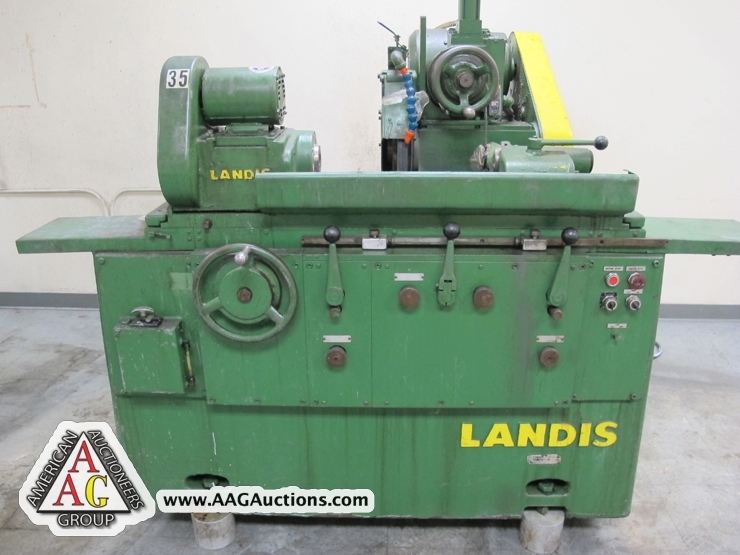 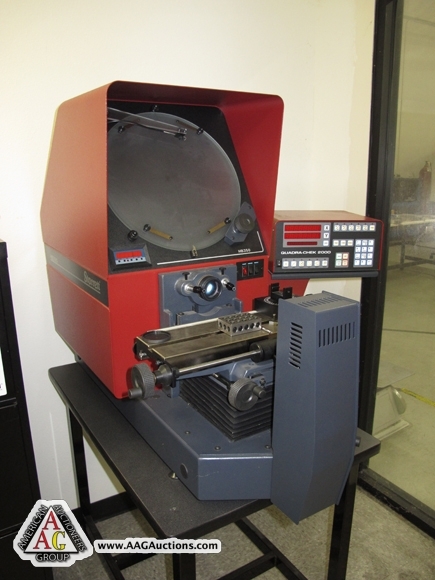 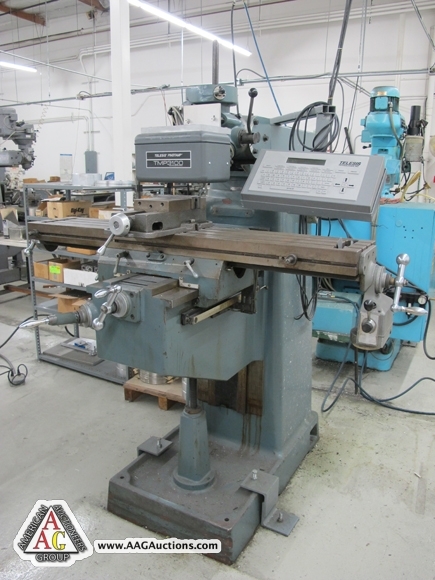 LANDIS MODEL 6 X 18 OD GRINDER, S/N 810N20. 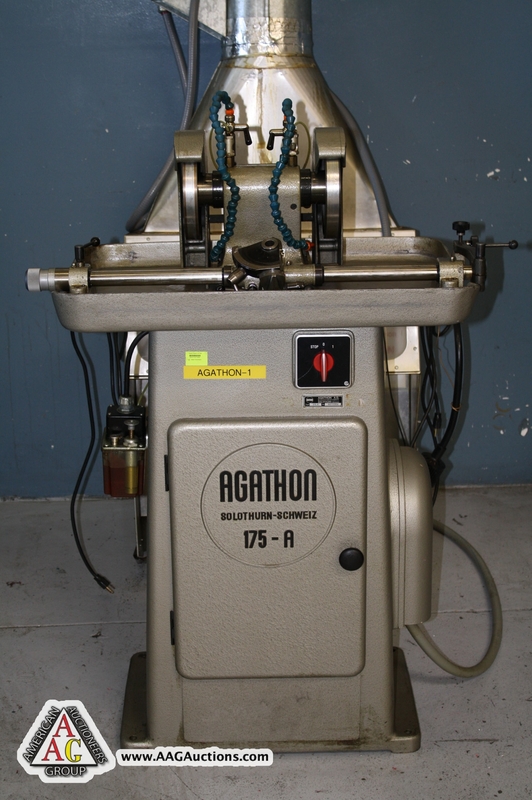 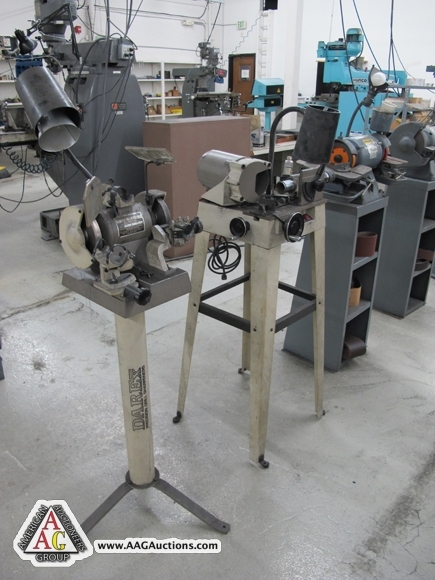 AGATHON MODEL 175-A DIAMOND WHEEL GRINDER. 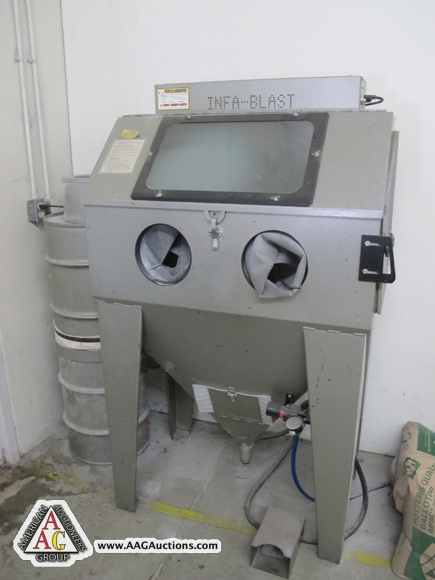 CHEVALIER FSG-3A1224H, 12 X 24 HYD SUFRACE GRINDER. 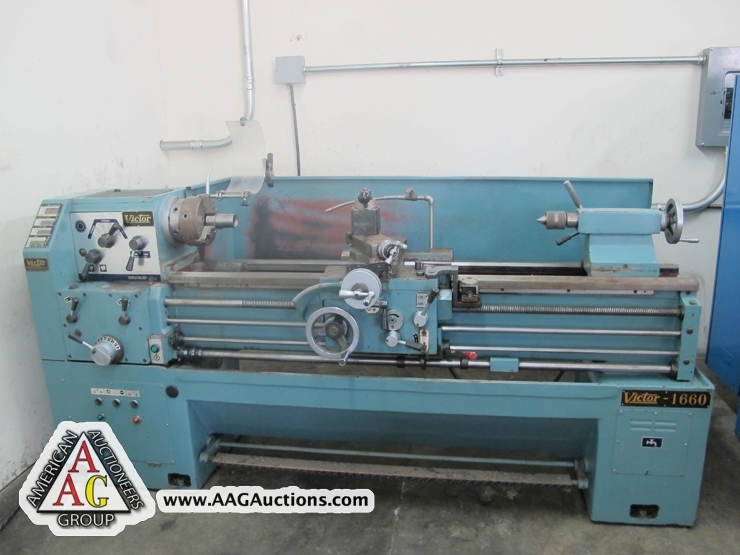 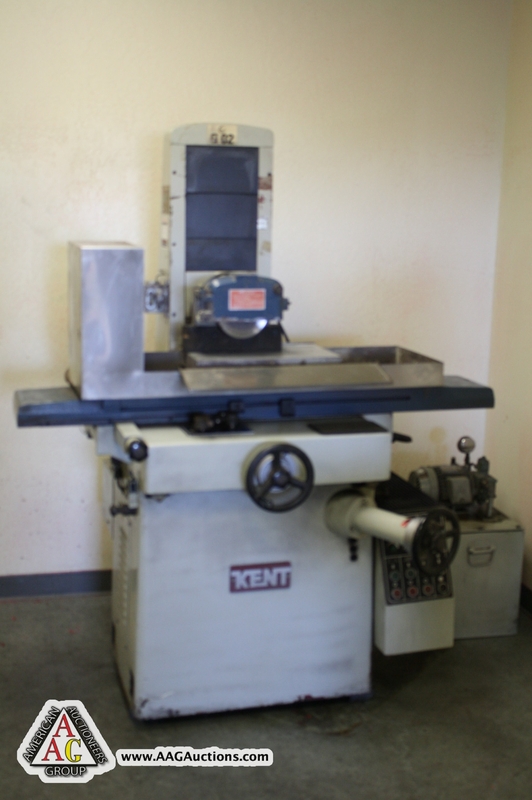 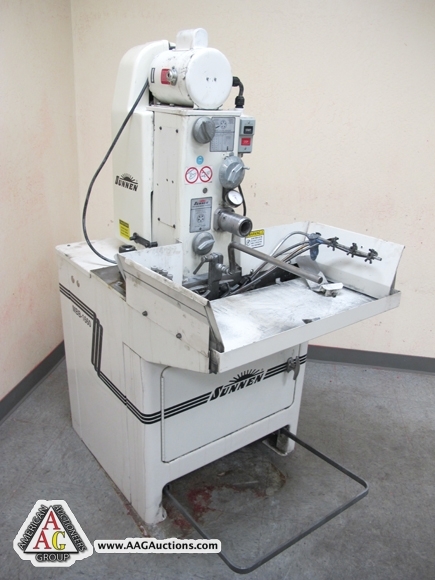 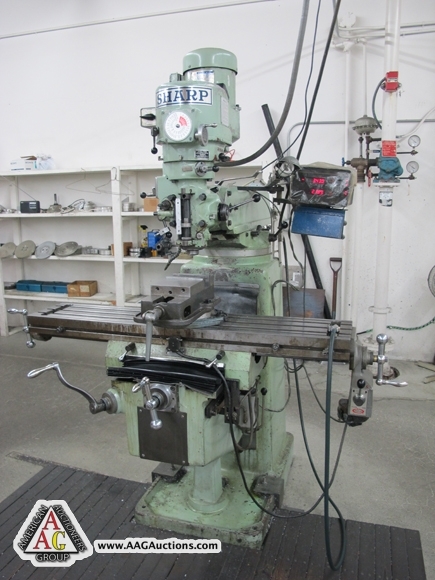 KENT 6 X 18 SURFACE GRINDER. 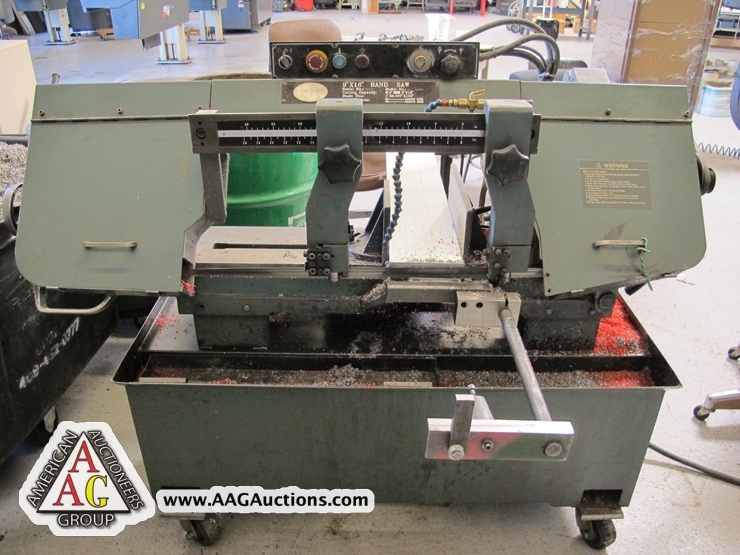 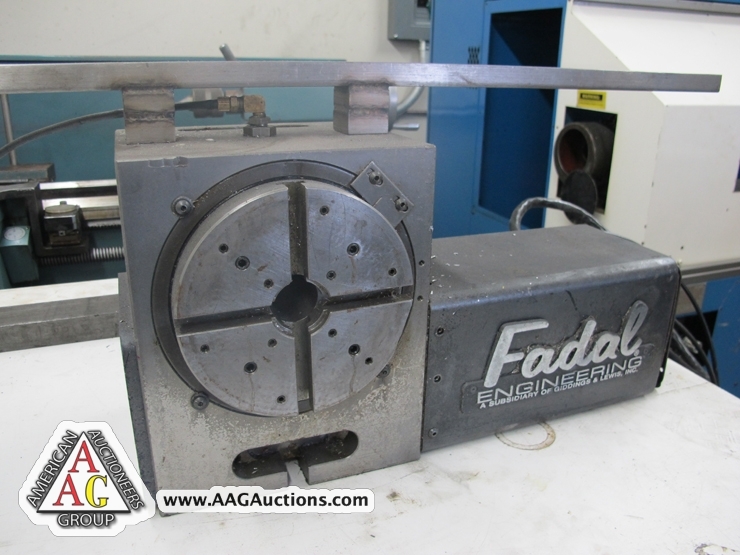 9 X 16 HORIZONTAL BAND SAW. 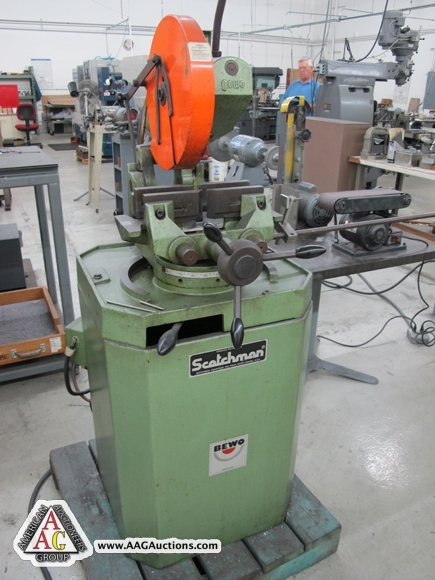 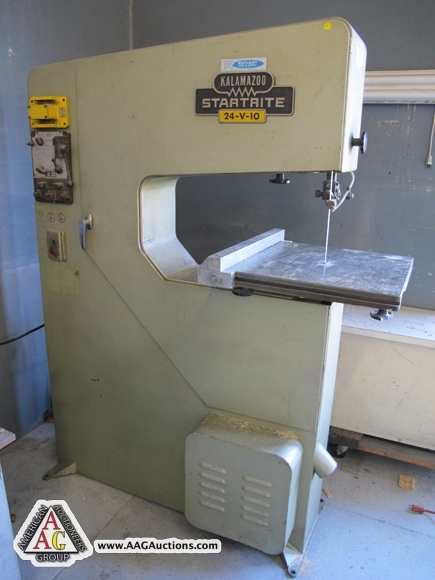 KALAMAZOO MODEL 24-V-10 VERTICAL BAND SAW WITH WELDER. 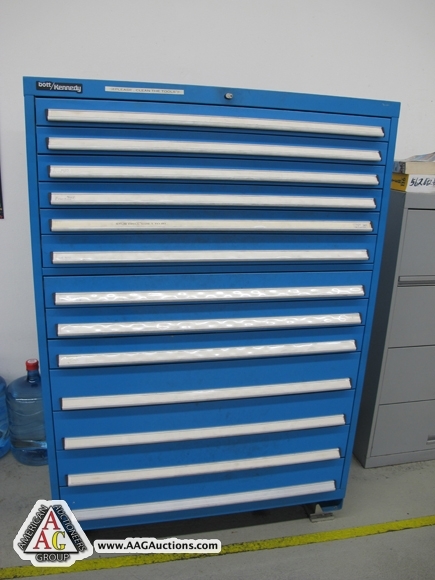 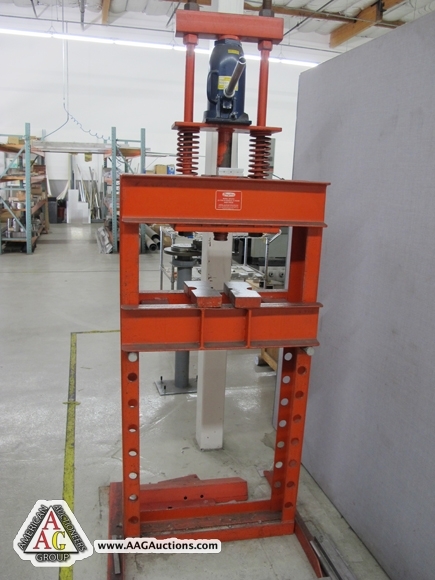 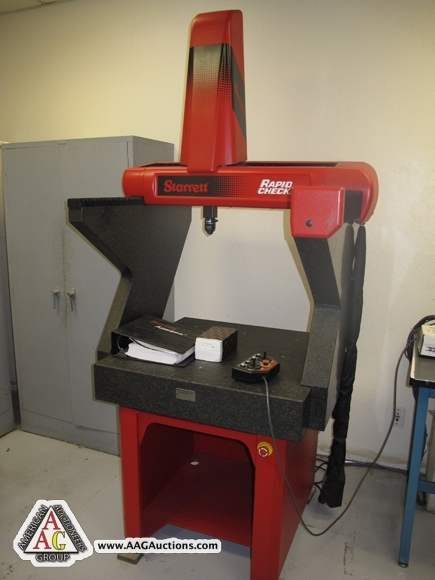 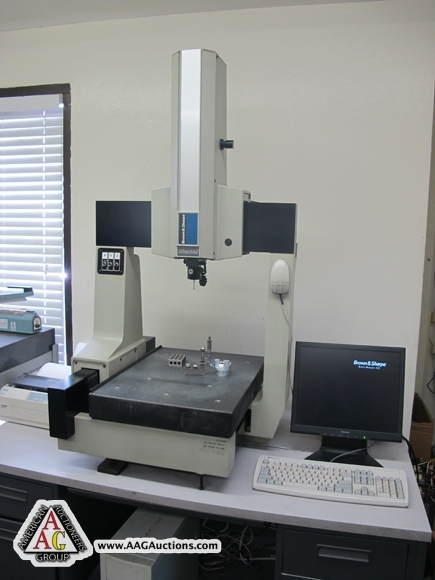 STARETT RAPID CHECK MODEL MGDS-2424-18 CMM. 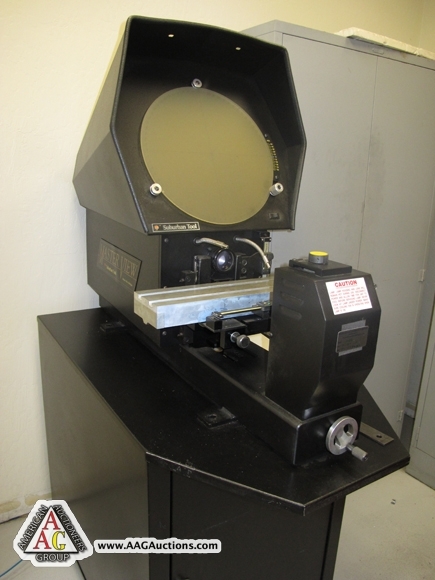 MASTER VIEW 14’’ OPTICAL COMPARATOR. 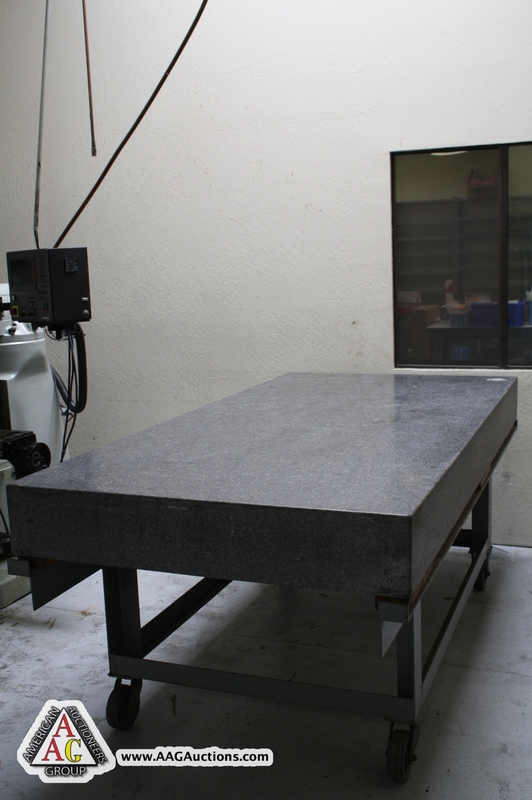 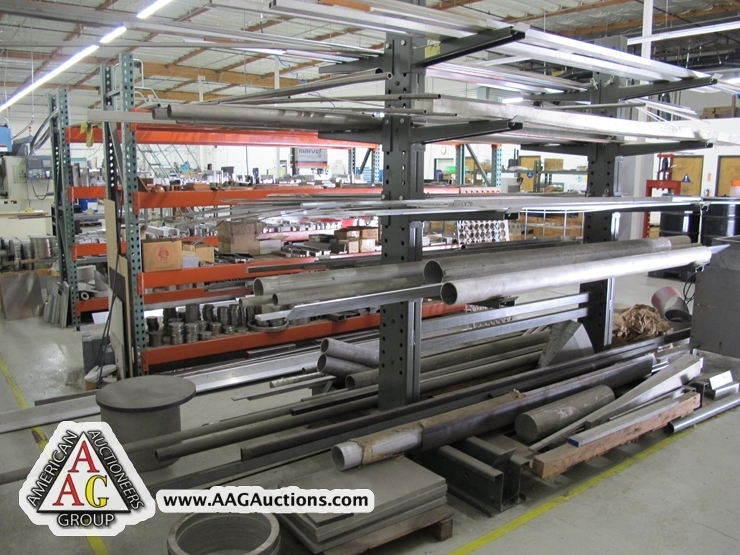 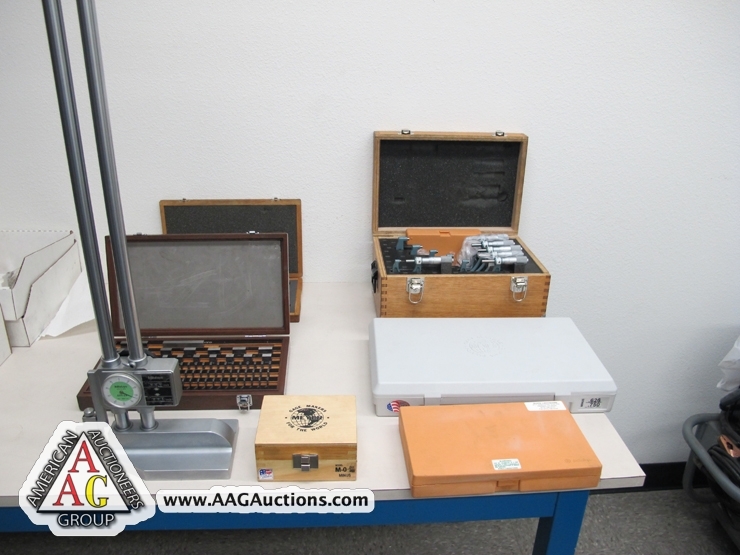 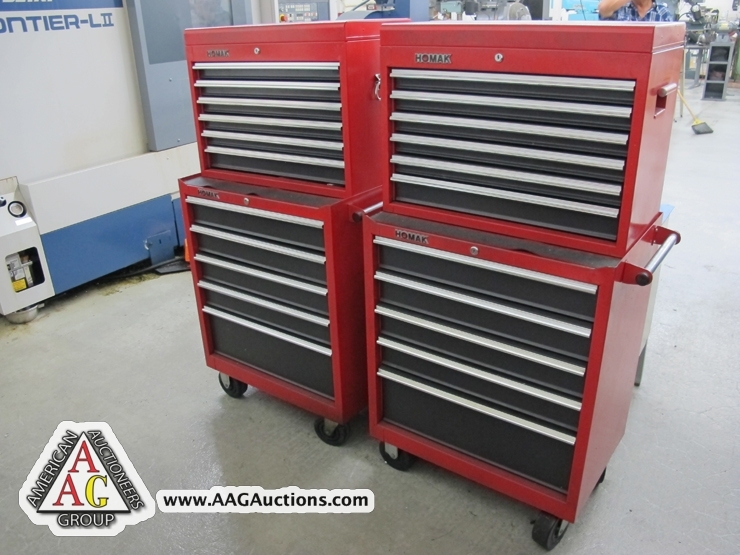 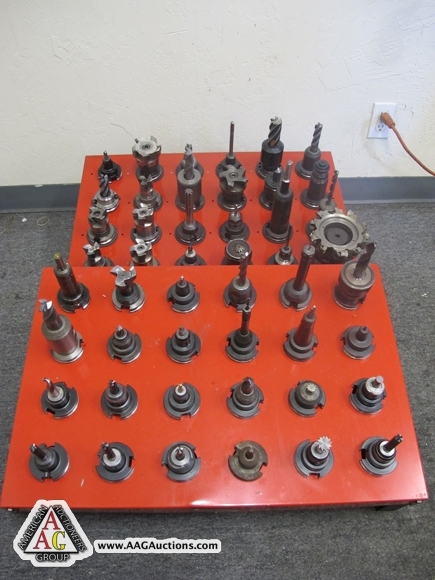 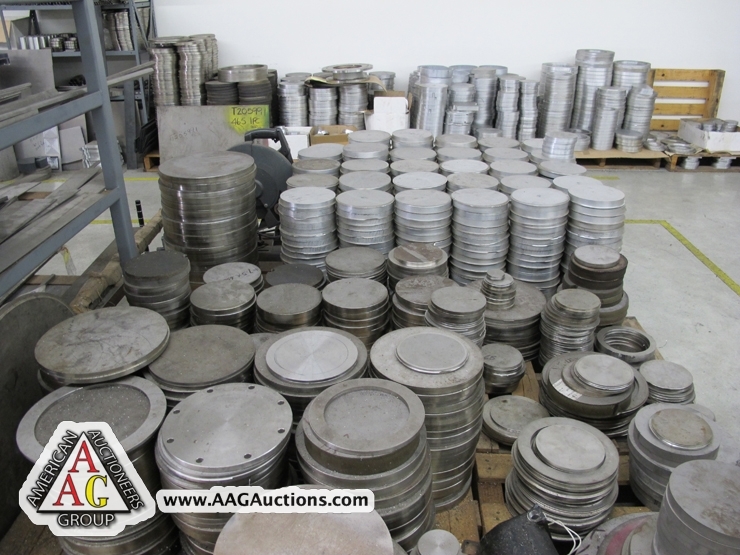 INSPECTION TOOLS, GAGES, GRANITE PLATES, SURFACE PLATES, END MILLS, COLLETS, CUTTERS, REAMERS, TOOLING AND ETC. 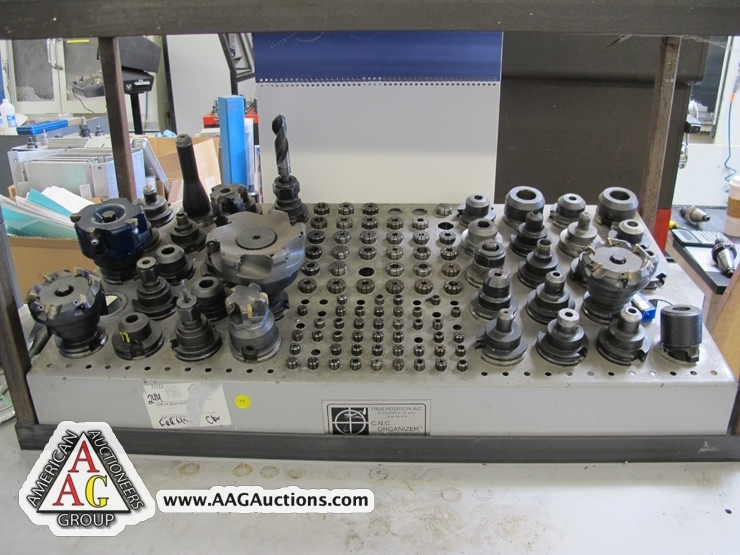 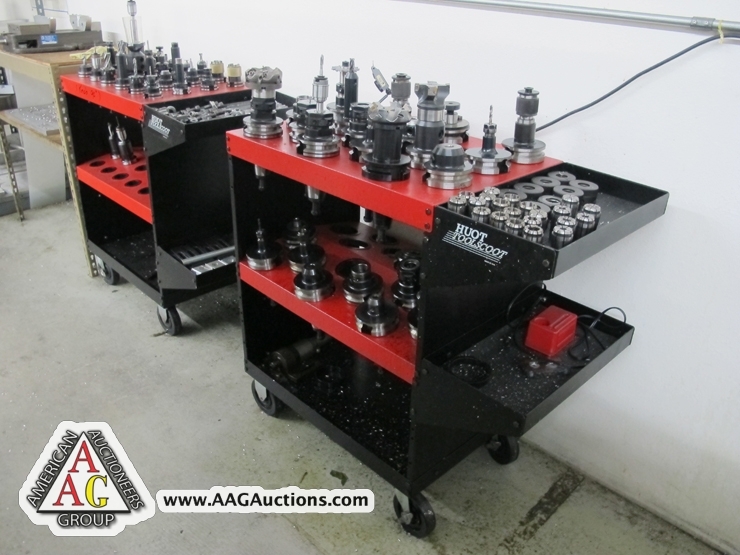 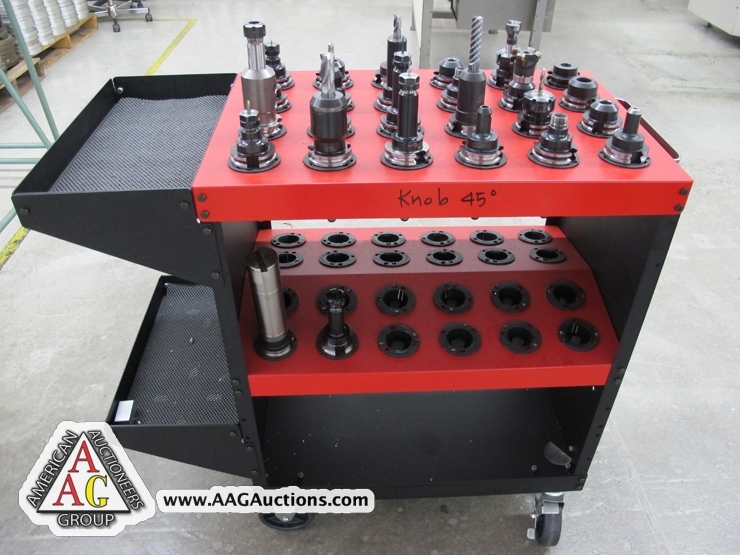 CNC TOOL HOLDERS, VISES AND ETC. 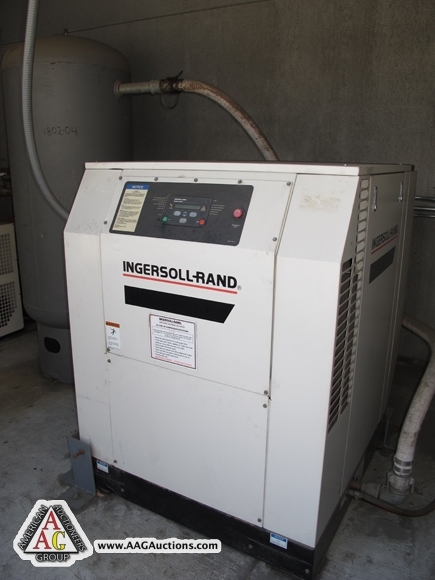 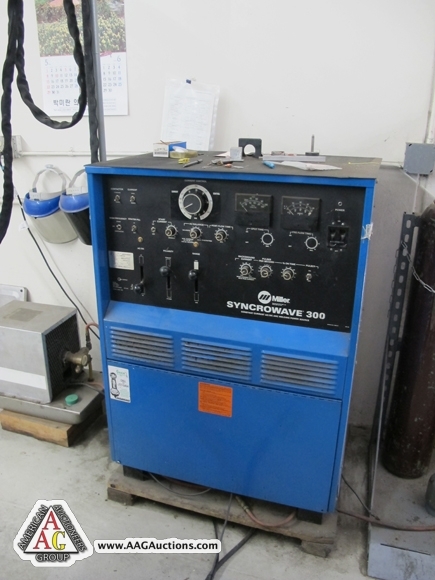 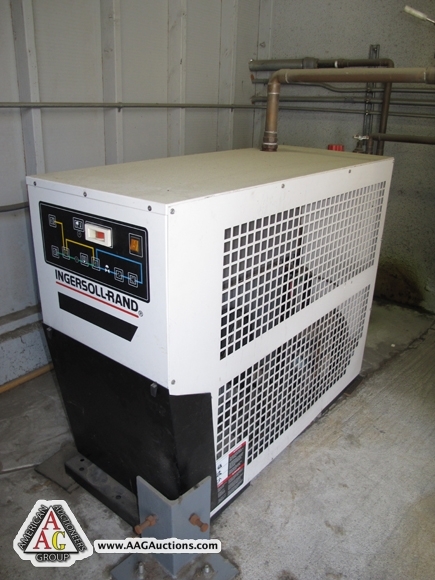 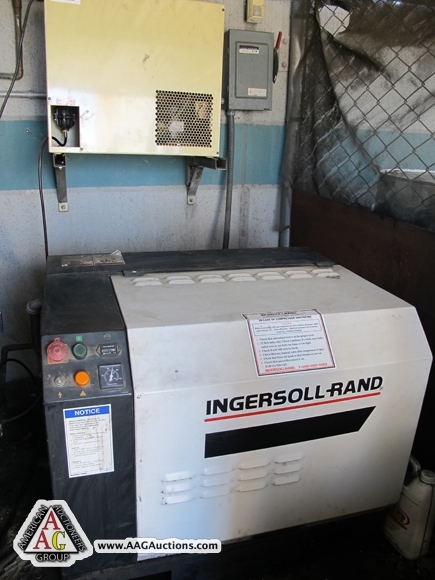 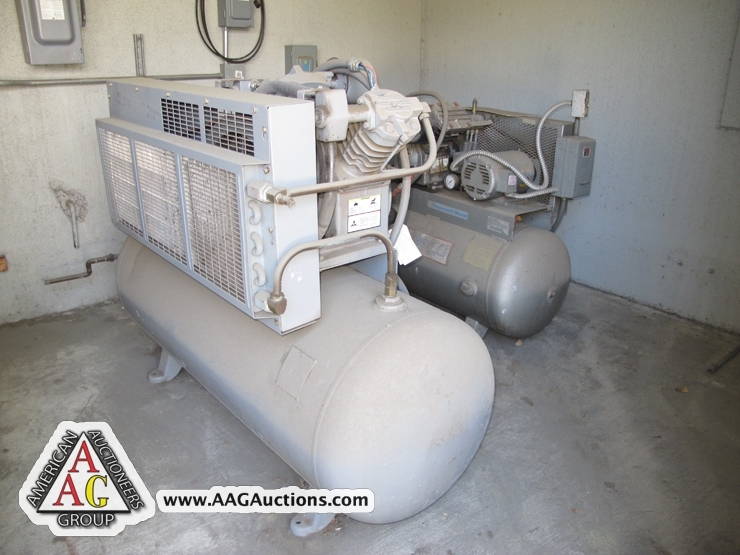 IR MODEL SSR-EP10, 10 HP ROTARY AIR COMPRESSOR WITH DRYER.